When it comes to a wellness program, nothing beats a well-structured fitness plan. You want to build muscle and burn fat as efficiently as possible but you don't know where to start on your nutrition. Fad diets can wreak havoc on your body; blood sugar, hormones, joints, etc. so don't waste your time trying to do that diet you see in a fitness magazine. 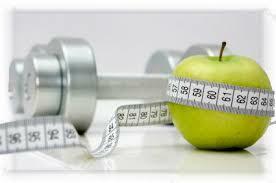 Our fitness staff can provide you with templates to get you started on your health and wellness journey. Sign-up below to schedule a free consultation to get your complimentary workout plan and we will add nutrition coaching at no extra cost. This program is free for a limited time, so be sure to act today! Click the button below to get in contact with the Simply Fitness Training Staff! Are you a member of Simply Fitness? * Yes, and I LOVE it! No, not yet! READY TO try us out? click below to schedule your consultation!